Last week was an amazing week. 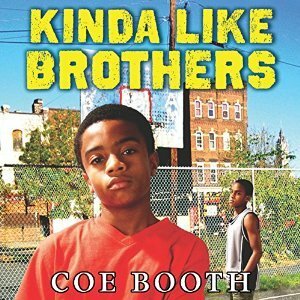 I returned home from the ALA Youth Media Awards, which was one of the most memorable book events I ever attended, probably only second to the Newbery/Caldecott Banquet in 2012. 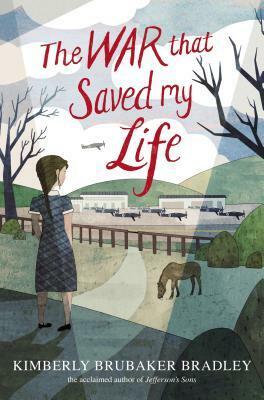 For a breakdown of my favorite award winners, check out this blog post, and for my Slice(s) of Life post from ALA Midwinter, check out my teaching blog. This book is a parody of the Eloise trope -- bringing her into the 2010s, if you will. Ella has a manny and spends a lot of time observing the hipsters at the Local Hotel where she lives. Not really a picture book for kids, but could be a good text to study when discussing/writing parody. 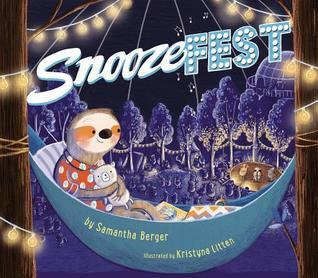 Sloths know how to par-tay! It's like the Coachella for nappers. I'm really enjoying this book, but there is one thing about it that's kind of bothering me that I hope will resolve itself by the end. I'll just leave it at that for now. I've been enjoying the narrator, but the longer this book goes on, the more I think his expression is a bit over the top. Dynamic expression is one thing, but too much and you're just overacting. He's kind of straddling that line right now. Hi Beth, I am intrigued by The War that Saved my Life and Lowriders in space. Very interesting to read your thoughts on both The War That Saved My Life and Kinda Like Brothers which are books I am sure I will eventually read this year! Can't wait to discover what you think when you are finished with them! I'm listening to The Raven Boys right now and about to finish. Can't decide if I'm moving directly on to Book 2 or squeezing in a change-of-pace read first. Guess it will depend on how much of a cliffhanger there is at the end! I want to read Kinda Like Brothers this year but over-the-top narrators drive me crazy so I'll make sure to read the print edition! Now I am more curious than ever about The War That Saved My Life! I just ordered Lowriders in Space. I've heard some good things about it, but have also heard a few people who weren't as happy with it. I look forward to reading it for myself. I brought Lowriders home and my husband made off with it. Not sure if it is maybe a little too odd for me. He loved it. Jealous of your trip to the ALA Awards! Want to get my hands on Low Riders. Need to figure out if my students will like it or not. I really want to read that Coe Book title; maybe I'll get the audio book! I laughed out loud about your description of the audio reader. It makes sense he is straddling the line. To be honest, I am excited to visit back here next week to hear if he has jumped over the line. 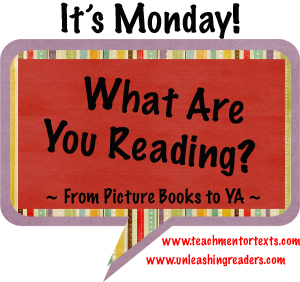 Audio books are so tricky, and the narrator is just so important. A lot of it comes down to taste, but there are some audio books that we all collectively sigh about. :) Don't ever listen to Fahrenheit 451 on audio. I am convinced Bradbury was drunk when he read it aloud. I have many of these on my to read list. I look forward to your final comments on them. From you description, I suspect my readers will like Lowriders. I've heard The War That Saved My Life is really good. I'm anxious to get to it now - I'm intrigued by what you said. BTW, had an interesting conversation with a 4th grader today about Destiny. He was very perplexed about why Uncle Raymond really didn't like Theo. We talked about various circumstances. He kept going back to the text about Raymond's relationship with his sister. I so wanted to tell him about our discussion, but didn't know if he would understand the concept or not! I've read so many great things about The War That Saved My Life, I really am hoping to get my hands on it very soon. 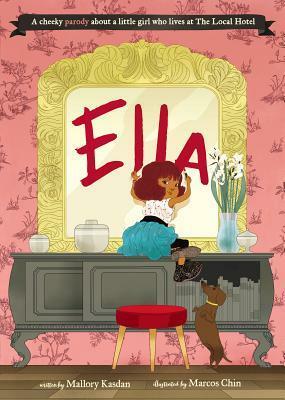 Interesting to hear about ELLA. 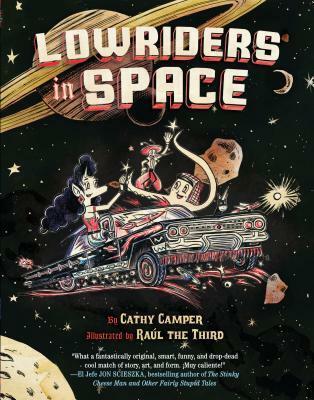 Lowriders in Space seems very interesting.